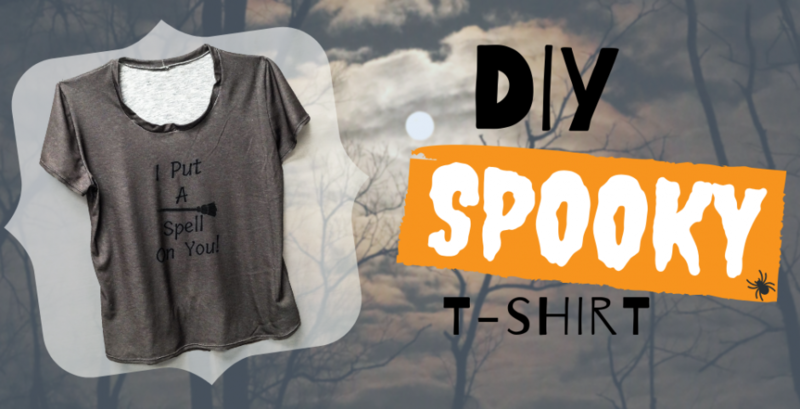 You can find these fun costumes in our Cut and Sew category. 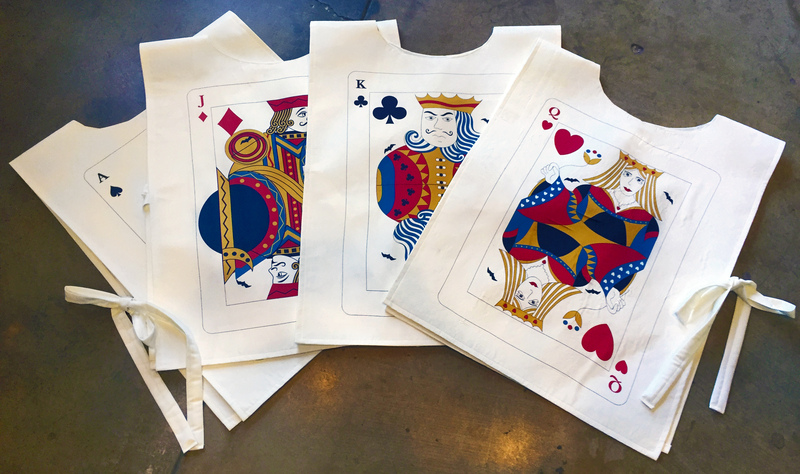 We printed the entire card set designed by LaurenYoungDesigns and had them printed on our Silky Faille! These are a 2 yard design so be sure to select a quantity of 2 yards when ordering. 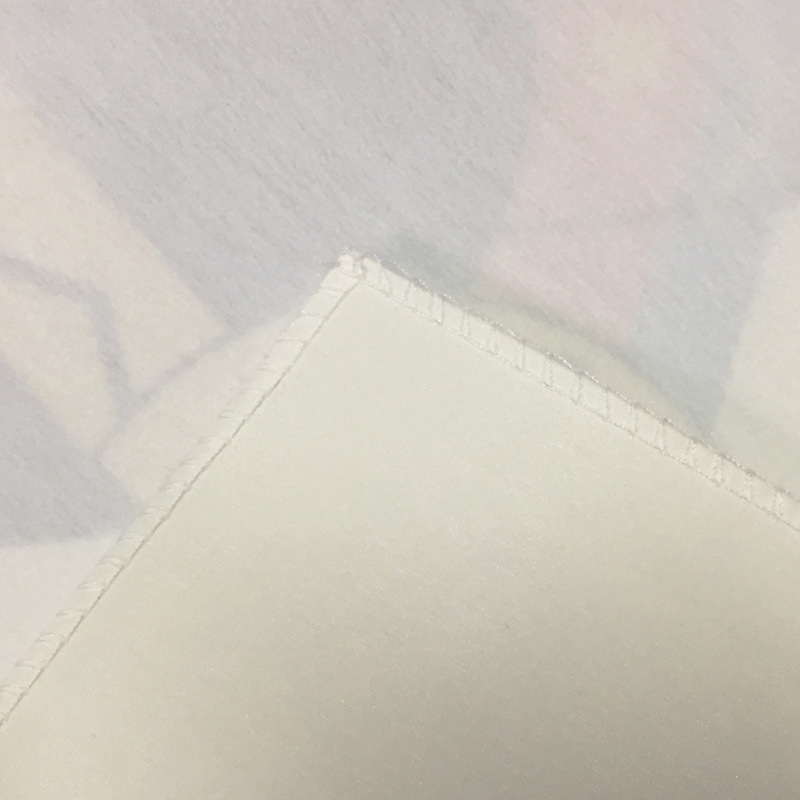 We also chose a medium weight fusible interfacing to keep our cards nice and straight. Cut out pattern pieces along indicated cut lines. 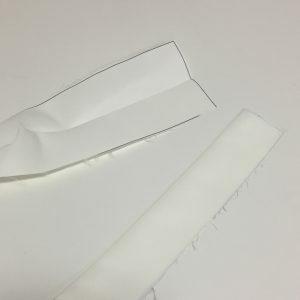 Add heavy to medium weight interfacing to body of costume by following instructions included with your interfacing. 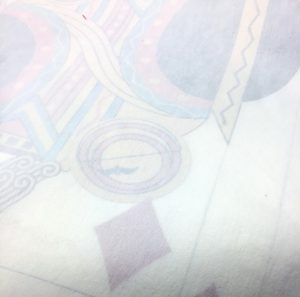 We also decided to serge all the outside edges of the card for extra strength after fusing on the interfacing, this however is optional. 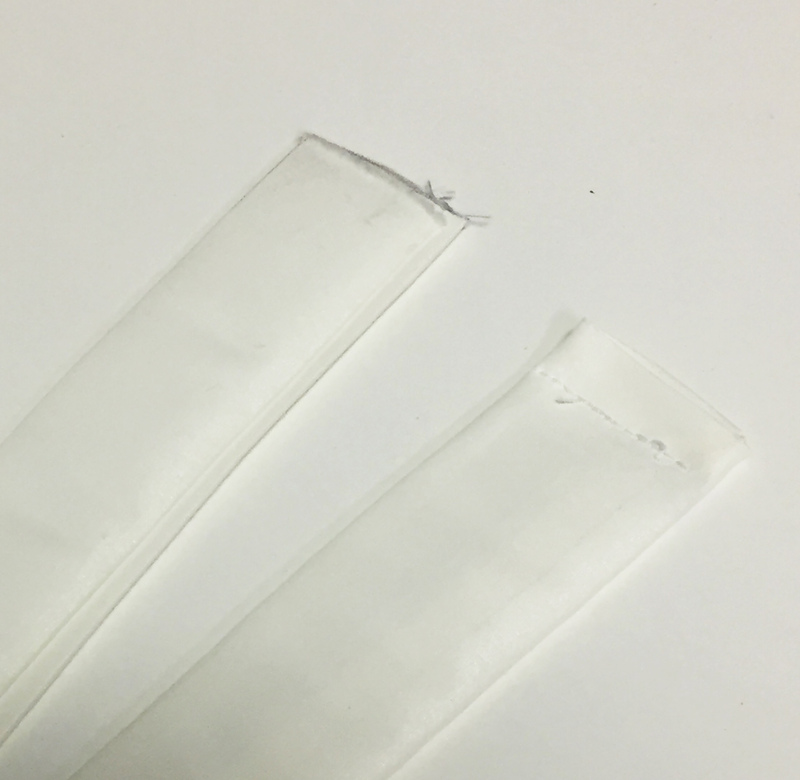 Fold each strap in half long ways and sew long unfinished ends at 1/2″ seam allowances. Turn right side out. 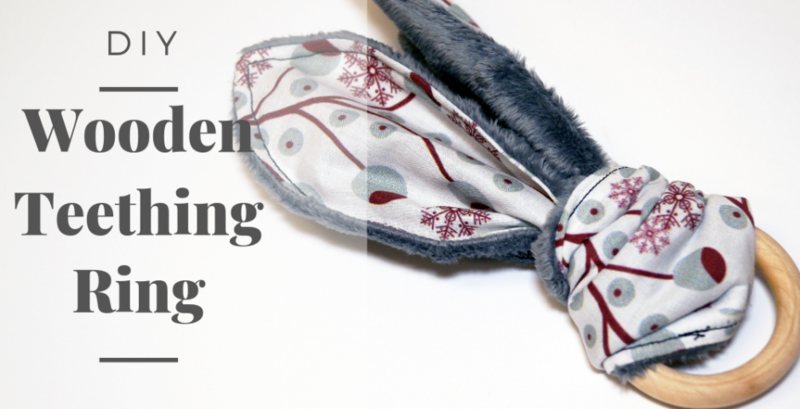 Fold in small ends 1/2″ and hem at 1/4″. Fold bottom of cards 5/8″ press and pin. 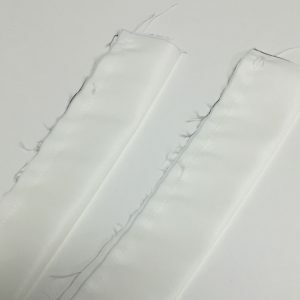 Then hem at 1/2″ seam allowance. Repeat for sides. Clip curves base stitch 1/8” around hole. Fold neck hole inwards 1/4″ and edge stitch. Pin straps on each notch on front and back. 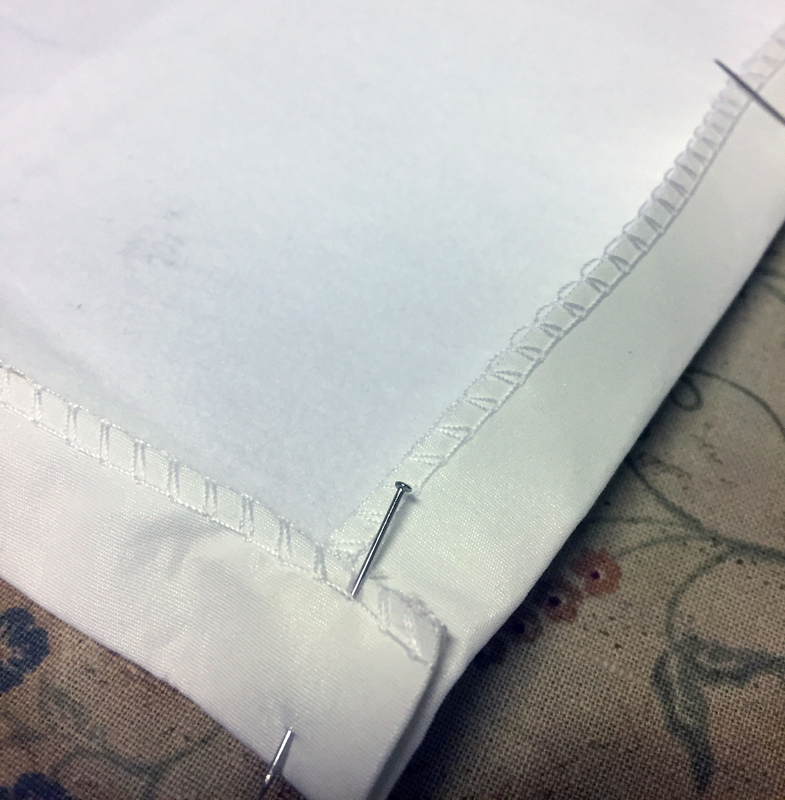 Stitch down at ½” seam allowance. Done! 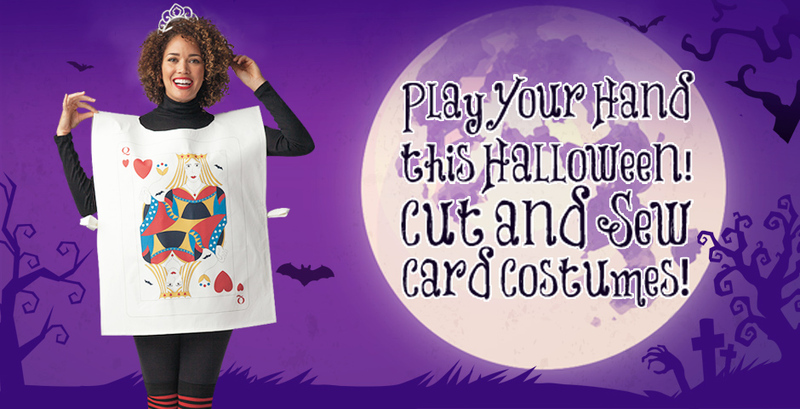 Now you have the perfect playing card costume. Want to make these smaller for your kids? Simply use our DPI adjustments to shrink down the design to any size you want! These costumes weere created by LaurenYoungDesigns using My Fabric Designer Software. 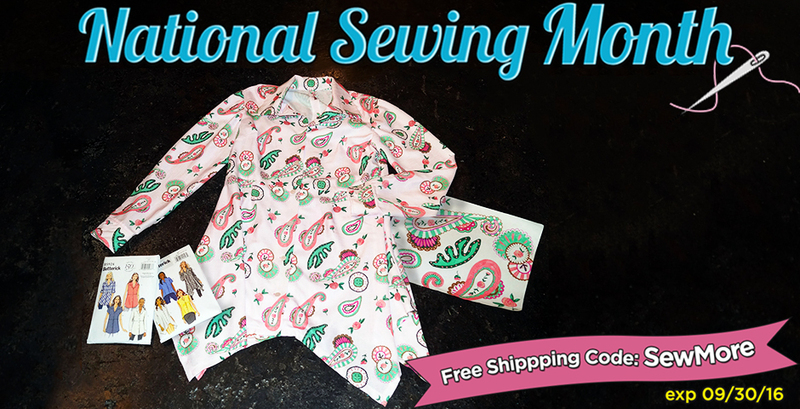 My Fabric Designer is a program that combines artwork editing, fabric design and quilting features in one package. It doesn’t stop there–with a click of the button, you can print your fabric on demand. 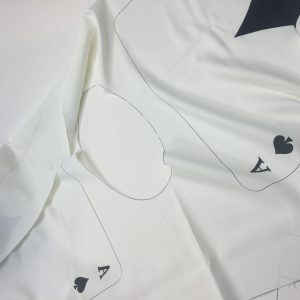 The software is great if you are looking to design your own fabric and is completely compatible with all our fabrics and website! You can purchase My Fabric Designer Software at your nearest Inspirations Dealer! Take advantage of our promotion Until September 30th so don’t forget to take 25% off all orders with code card25 at checkout!